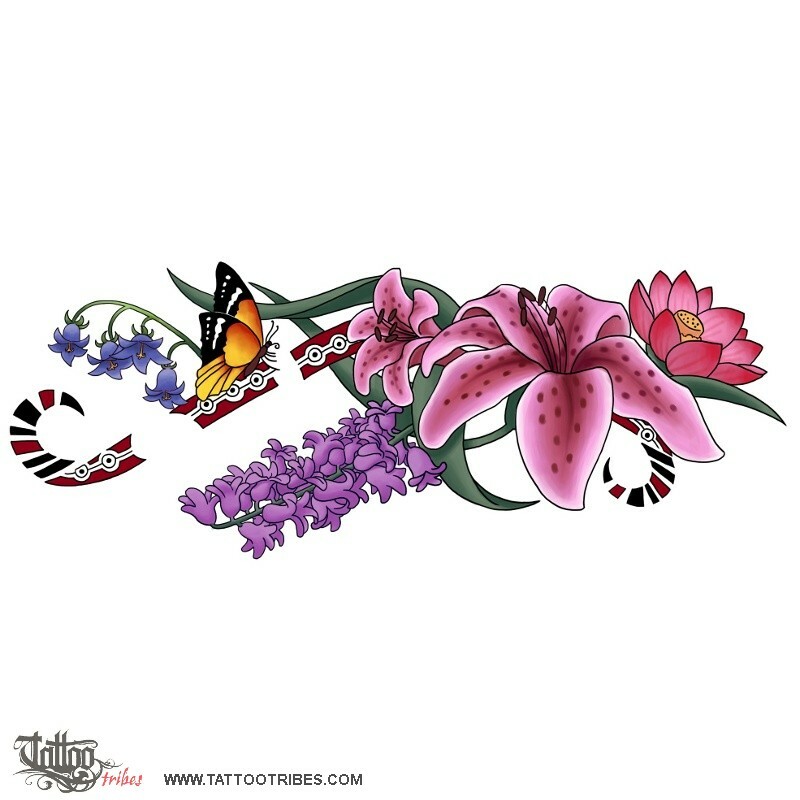 This design was prepared for Jill as an integration and revamp of an existing tattoo. Among the elements of this tattoo there are some which are related to particular moments of the life of Jill, small things that, given in particular moments, have become important and shine through dark times like little stars. The lotus flower symbolizes perfection and overcoming adversities, and being pink it means also "forget the past"; the butterfly symbolizes rebirth, transformation leading to freedom. 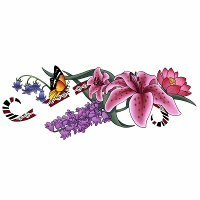 The tiger lily is a symbol of wealth, pride and prosperity and bluebells are symbols of constancy. The tribal motif belongs to the traditions of Canadian Native tribes.